It is getting to be that time of year again. 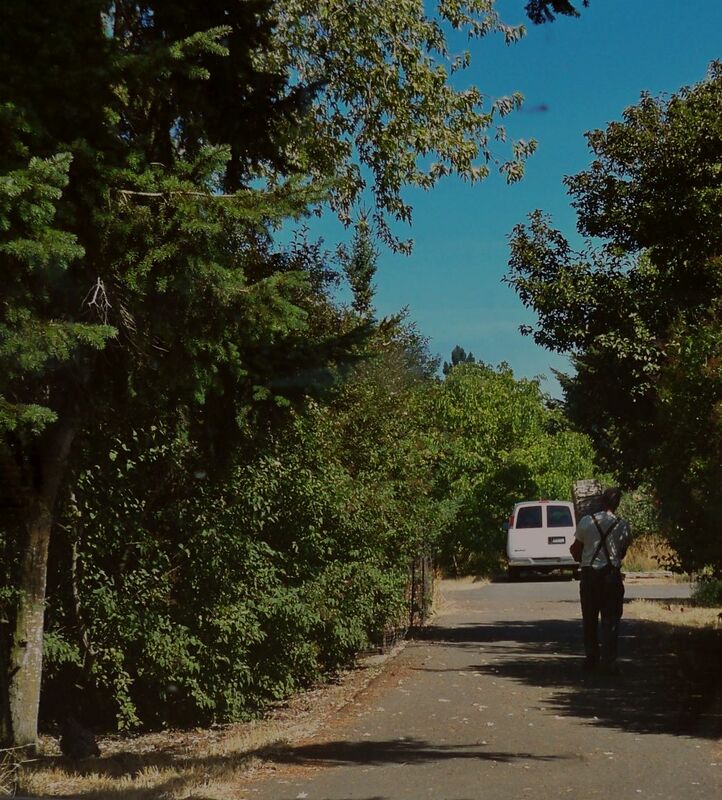 I think I look forward to the coming of Spring and Summer just as excitedly as I used to as a child. Only my reasons have changed. As a kid, I would look forward to sleeping in, and long lazy hot days. Now, giddy, I anticipate the honor farm’s return. 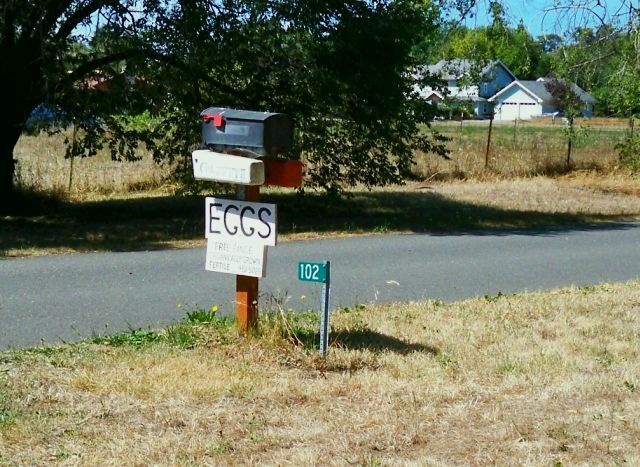 In the area I live, which is quasi-rural, driving the back roads you’ll see signs that announce that eggs are for sale. The “honor box” payment system is very common around. So, my regular weekly shopping includes stopping at a few of these rural shopping sites. I go to the same place, usually, for eggs. It’s an amazing all freely pastured farm. Chickens hatch and raise their chicks, and everywhere there are chickens milling about. It’s quaint. The honor box that I stop at is simple, and you stuff your money down a little wooden slot. 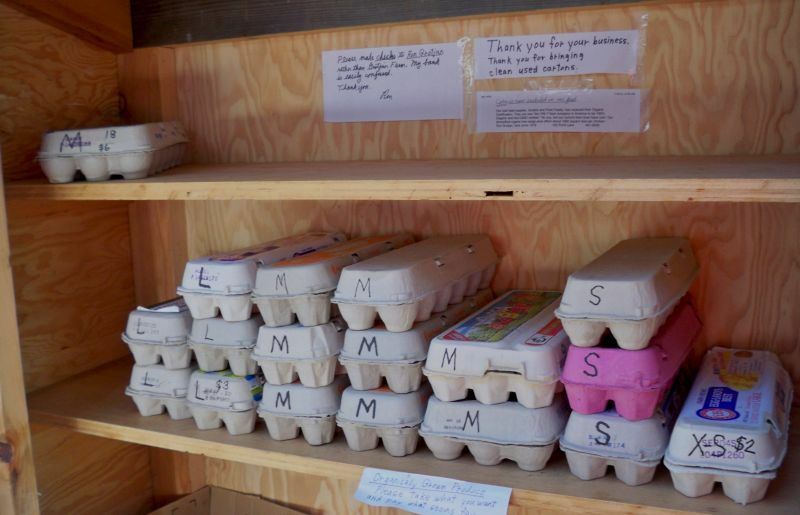 The eggs are fresh, the cartons are recycled (and I bring back my used cartons). It’s pleasant. I also, use a lot of eggs — and try several egg recipes each week (for my “someday” book Too Many Eggs, it’s at 400 pages, now, and still growing). I like to help support a guy who is, clearly, crazy about chickens.